You may have read the name Libratone a couple of times before on Android Police. The company specializes in minimalistic but superb audio products, like the One Click speaker that Jeff reviewed, and has recently been part of the Made for Google program with its Q Adapt in-ear (wired) and on-ear, the latter of which are even Google-certified with that Fast Pair capability. The company is back with another new product, this time a wireless in-ear earphone called the TRACK+. 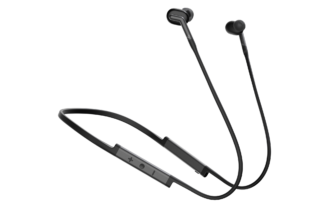 This follows the same form factor as the Jaybird X series, the Bose SoundSport Wireless, the Pixel Buds, and other Bluetooth earphones that do have one wire connecting the two ears. It's technically not totally wireless, but that's okay because it has both adaptive and adjustable noise cancellation. 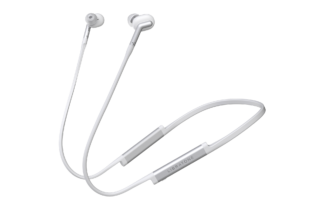 That means there are 4 levels of noise cancellation that the user can choose between, though the earphones will also automatically adapt to the ambient noise level surrounding them. Plus, there's a "Hush" mode which is about sound transparency: it'll use the mic to transfer everything around you to your ears without you having to take them off. I have to say that the form factor and portability do make this very appealing for travel. I can never bring myself to carry the Bose QC35 on a plane, but this would be perfect. There's no word on battery life though, which could make or break the experience. I've reached out to Libratone and will update the post should I get an answer regarding that. There's also no word on Fast Pair inclusion, but I'm not holding my breath. If it was there, it should have been in the press release. 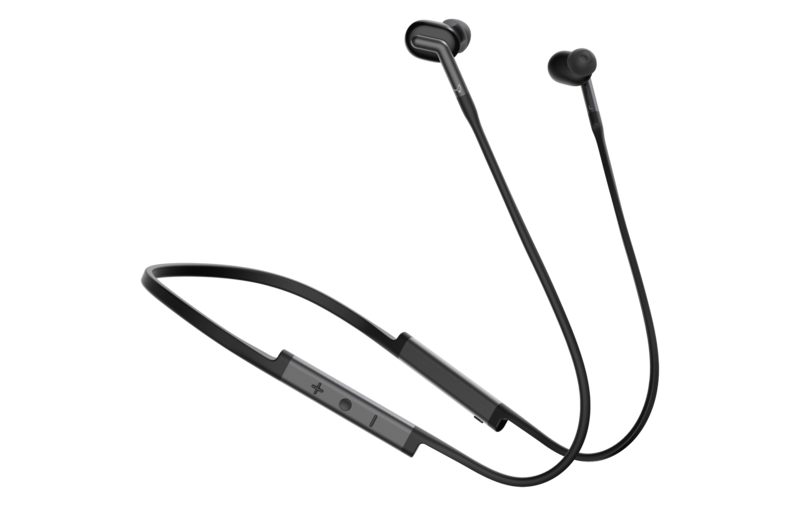 The TRACK+ are IPX4 rated and come with 4 different sets of ear tips and a special sports tips for athletes. They will be available in both white and black color options for $199 in early 2018 and you should be able to grab them at Libratone's site, Amazon, and other retailers. The post had incorrect images of the TRACK+ and has now been updated to show the proper ones. We've also received a few more details regarding the TRACK+: it will have a soft bendable neck band, 8 hours of battery life, full charge in 1hr, dual mics are used for noise cancellation, and there's motion detection to automatically go to sleep when it's not worn and instantly wake up when motion is detected. 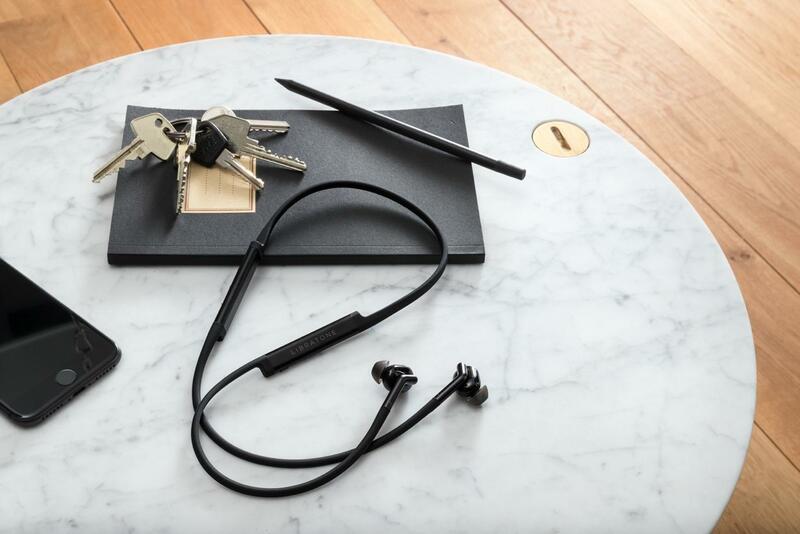 LAS VEGAS, Nev., SAN JOSE, Calif., and COPENHAGEN, Denmark, Jan. 9, 2018: The new Libratone TRACK+ Wireless In-Ear combines freedom with great sound and Libratone’s industry-leading four levels of adaptive adjustable noise cancellation. 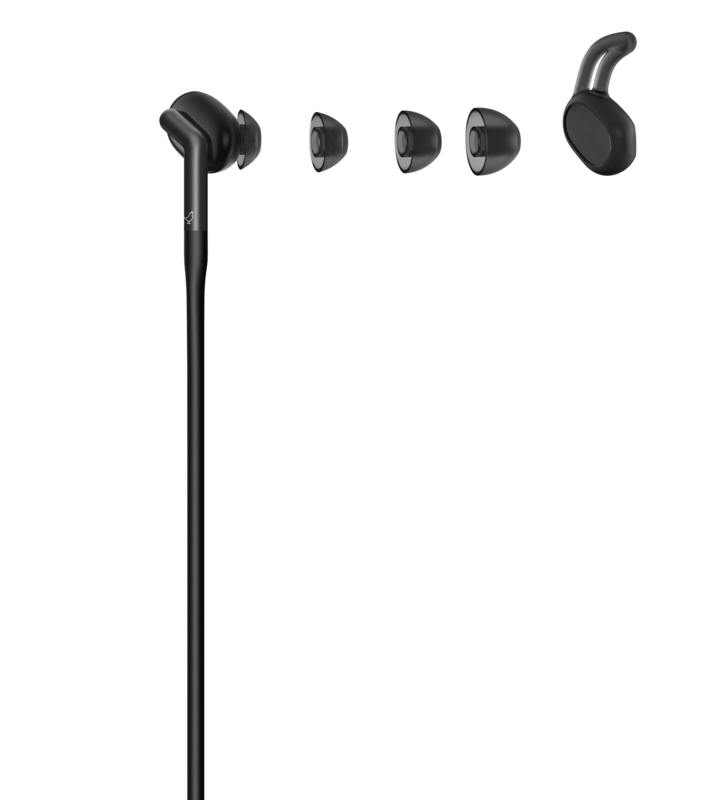 With a compact and flexible form factor, the Bluetooth earphones are designed to be enjoyed for hours at a time. With the new TRACK+, music lovers are well equipped to listen when commuting, training, traveling and working, without surrounding noises spoiling a great listening experience. Perfect for users who prefer a lightweight, cord-free audio experience, the TRACK+ is designed to easily fit into a small pocket when not in use. Four different newly designed ear tips, in addition to specially designed sports tips for athletes, mean that users can find the right fit on the go. The elegant and discrete earphones, presented for the first time CES 2018 in Las Vegas, maintain both the audio integrity and Danish design that Libratone is famous for. As with all other products in Libratone’s headphone family, TRACK+ features four levels of adjustable noise cancellation, enabling users to control how much outside noise they can hear. The Hush mode uses the earphones’ mics to pick up all external sound, letting listeners can keep their buds in their ears. With an IPX4 water-resistance rating and ergonomically designed sweat-proof earbuds, the TRACK+ is the perfect match for people with an active lifestyle. The new TRACK+ Wireless In-Ear comes in Stormy Black and Cloudy White, and is $199. The earphones will be available at Libratone.com, Amazon and select retailers in early 2018. The complete portfolio of Libratone’s speakers and headphones will be on display and available for demo at Booth #31556 in the Upper Level of South Hall 3 at CES.